Learn Astrology symbols and glyphs, along with their meaning. Knowledge of astrology symbols is key to reading any natal chart, even your own, since glyphs are always used in astrological charts. Astrology symbols and glyphs are a shorthand used by astrologers. 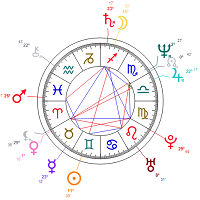 They help organize astrology charts, preventing clutter and minimizing the size of charts. After all, it's a lot easier and faster to use the astrology glyph ♒ to represent the Aquarius, then it is to write the word Aquarius.